In my mind I planned a natural birth for out little Peanut. It would go like in the movies where my water would break in the middle of the night (of course we put on the mattress protector way in advance), we would get dressed in a flurry, hubby would struggle to find the car keys - which would be in the same place it is every night and we would rush to the hospital. Once there I would go through 2 or 3 hours of labour with hubby holding my hand, and while smiling, high on feeling-good hormones I would deliver our precious bundle into the world. Yeah right, so this is not the movies. Things do not go according to plan and sometimes it just goes ridiculously wrong. On Monday the 8th little Miss was still sitting pretty and showing no sign of vacating the premises. I went to the clinic and was ordered to come back and see the doctor as I was now past 40 weeks. So an hour later the doctor ordered me to the hospital to start induction as apparently in the Western Cape, once you reach 40 weeks the baby must get out. As the induction can take up to 3 days to work they wanted to start it as early as possible to avoid going over the due date too long. I was not pleased with this turn of events as I wanted our baby to come on her own time and not be forced. So, off we went to our private doctor for a second opinion. She advised that I must go for the induction. 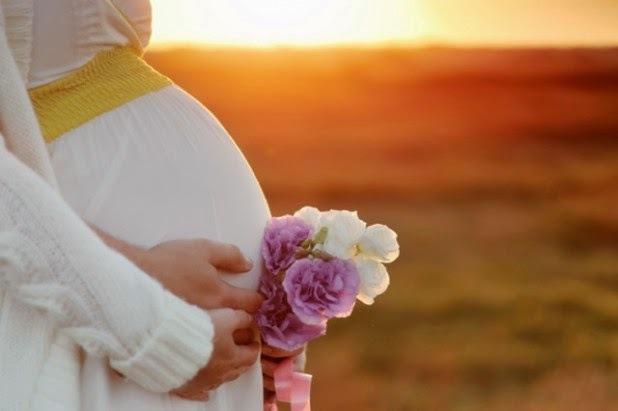 I spoke to my doula and we both felt that it is too early as the doctor in Hermanus who did the sonars said that we will be able to wait up until the 15th and then come in for a scan to see what is going on. We tried to phone her to get her opinion but her practice said that she was away on holiday and will only return on the 15th.. So we contacted the hospital to ask the nurses for advise. They were very helpful and said that we must come in for a check-up and then they'll advise. Off we went to the hospital and after the check-up and the nurse speaking to the clinic doctor she explained why they felt it necessary to start the induction and that I must book in on Tuesday night. In my heart I still did not really want to go, but by this time and after 3 professional opinions that it will be best to do the induction we decided to go with it. I was scared that if I did not go and something happens to the baby that I would forever regret not listening. So, Tuesday at 16:00 I booked in and Wednesday morning 5:00 I got the first dose. By Wednesday night nothing has happened yet, so they stopped the treatment and decided to carry on on Thursday. Thursday they completed the 1st cycle and Thursday 18:00 started the second cycle. Just before 19:00 my water broke. I was on the way to the loo which helped a lot! This was also not as in the movies but I will not go into the gory detail. We were all relieved for progress! As contractions are supposed to start a while after, my doula decided to quickly go home, grab a bite to eat and get ready for the night. She just about left as my contractions started, and was not at all as expected. We were advised to rest in between contractions to build up strength for the next one. From the beginning my contractions were 2-3 minutes apart, lasting about half a minute. Hubby let the doula know this and she rushed back, anticipating a speedy delivery. This turned into a 14 hour labour which by the end only left me at 7cm dilated and with a swollen cervix. By morning I started getting a very bad urge to push (and did push on occasion) and it felt like my intestines would explode out of my bum, so I knew something was wrong. At 8:30 the doctor came in and decided to give it another hour before ordering the c-section. None of us appreciated this and that last hour must have been the worst time of my life. I struggled against the overwhelming urge to push as I knew that it might harm the baby. We were tired to the bone. At 9:15 the nurse called the theater people and they prepped me and wheeled me in. Because I was still getting contractions like non stop the doctor (luckily a different one from the one who called for another hour), had a hard time getting the spinal done, but once it took effect and my body lost feeling I felt as if I went to heaven. So, they did their thing and our little girl was born at 11:11. She was in the posterior position and weighed a whooping 3.940kg, which explained why she did not want to come out the natural way. I got only a glimpse of her before they took her away, but hubby stayed with her and got to do some skin to skin. She sucked on his chest hair which was very cute. When they took me to the ward I got to immediately hold our precious bundle and she latched within the first 5 minutes. I can honestly say that giving birth to our precious little soul has been the worst and the best day of my life. Dear Peeps, I have been trying to update my blog and let you know that our precious little Peanut arrived on the 12th of September but I just cannot seem to find the time to sit down. 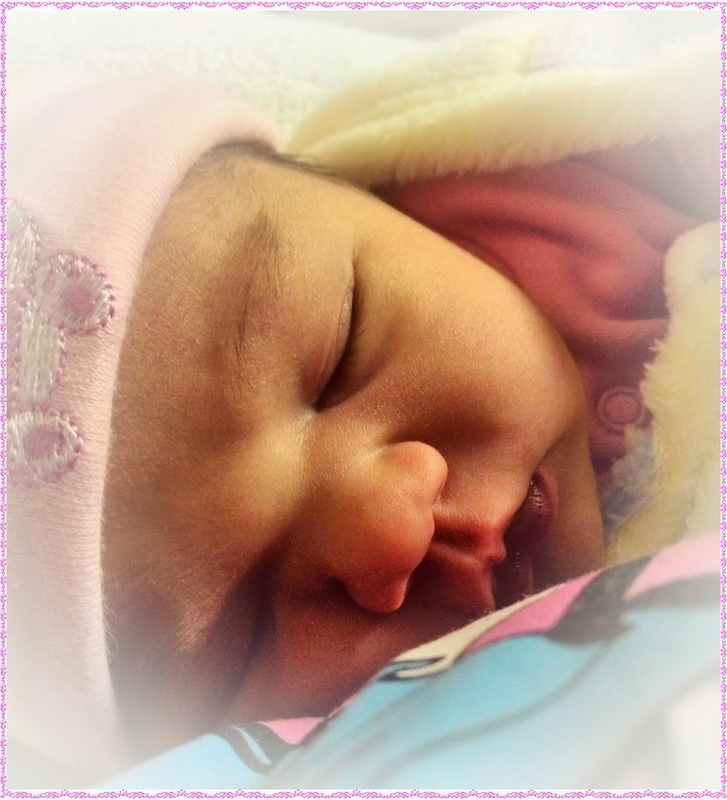 It is a bit hectic being a new mom, but I am loving every moment. The birth did not go according to plan, but I will tell you about that still. Just want to let you know that she is healthy and adorable. We have reached the end. 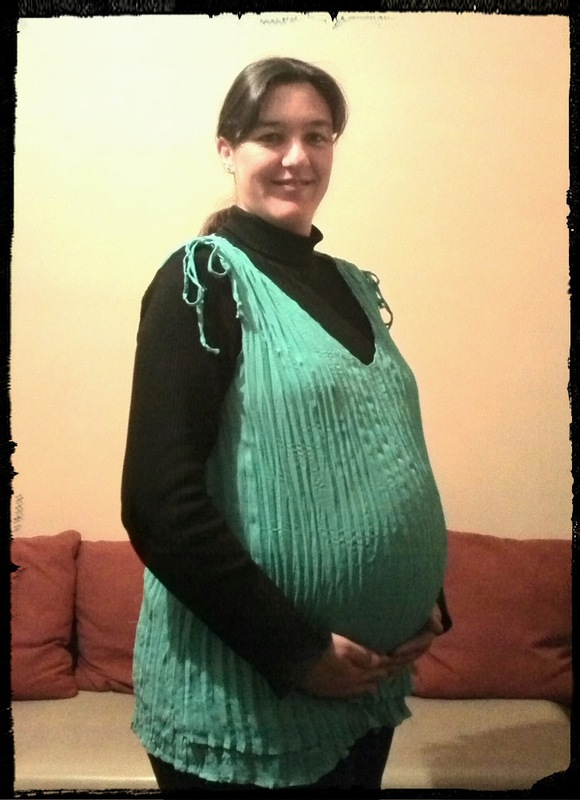 It has been a wonderful, magical, scary and roller-coaster experience to be pregnant. I have dreamed about it for years and now looking back I can say that it has been an awesome experience and I will forever be grateful that I were blessed to carry this little baby inside of me. It feels like a lifetime has gone by since that day we found out but on the other hand it seems like only a blink of an eye. There were a couple of really bad days along the way, but the majority was good, even great. And I felt happy which was odd, but very freeing. I only truly realise now how very frustrating and sad it is to try for a baby month after month after month, only to have to try another month. How much it emptied my soul and influenced my life. So our little Miss is due by Monday. Everybody is holding their breaths and waiting in anticipation. Some people were sure that she will show up early but this little Peanut is sticking it out until the end. I do hope that she will not keep us waiting much longer. It is getting a bit crowded in there and we cannot wait to hold her in our arms.